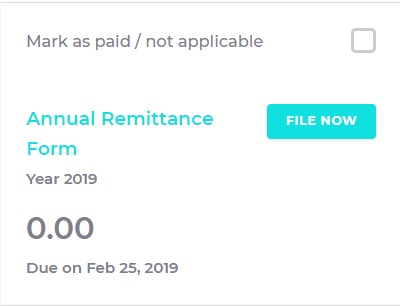 How to file BIR Form 1604E via Taxumo. Filing your Annual Information Return of Creditable Income Taxes Withheld (Expanded)/ Income Payments Exempt from Withholding Taxes. If you already have an existing Taxumo account, all you need to do is activate the Form on your company profile. To do this, simply follow the steps listed below. 1. Go to your company profile. 2. Scroll down until you see the forms that you need to file. 3. Check on the 1604E form and click the save changes button. 5. Once you click on the file now button, you will be taken to the form preview window. 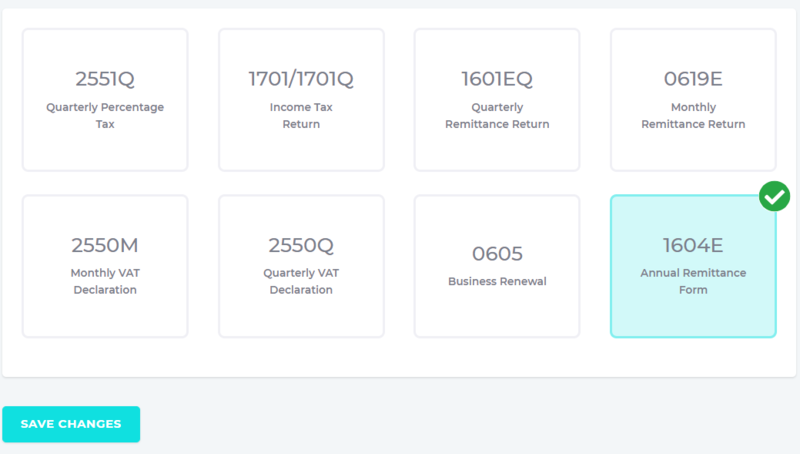 In this view, you will be able to see a summary of all your BIR Form 0619E filled via Taxumo. If you filled these forms outside of Taxumo, the system will allow you to input those details manually. 6. Choose your preferred payment method and click on the Pay Now button. 7. Follow the instructions on your chosen payment gateway. 8. That’s it! You’re done.